Cars are an expensive commodity. Since many Americans are not purchasing houses, an automobile can often be the highest-priced purchase of a lifetime. According to analysts at Kelley Blue Book, the average transaction price for a new car is now more than $37,000 (based on February 2019 data), but there are plenty of options available well below that average for folks on a budget. With prices starting around $12,000, quality new vehicles are available, complete with new car warranties and a surprising number of standard features. Here’s a look at the least expensive 2019 models available in America — all priced below $20,000. The entry-level crossover in the Ford lineup, the EcoSport is designed to offer the versatility of an SUV in a small package. EcoSport is available in four trim levels with two different engines and available all-wheel drive; however, the sub-$20,000 version is the front-wheel-drive EcoSport S, powered by a fuel-efficient 1.0-liter EcoBoost 3-cylinder engine producing 123 horsepower and 125 lb-ft of torque. 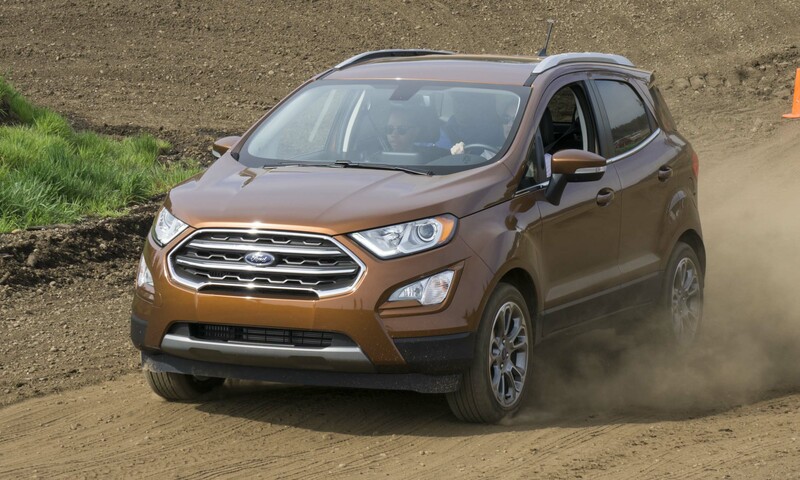 The U.S. Environmental Protection Agency rates the EcoSport 1.0-liter engine at 29 mpg highway / 27 mpg city. Standard equipment on the EcoSport S incudes a rearview camera, two USB ports, air-conditioning, an AM/FM stereo and SYNC-enhanced voice recognition, and a 4.2-inch LCD screen. The Kona has been receiving plenty of accolades since its introduction last year, most recently being named the North American Utility Vehicle of the Year. Even with a low starting price, Kona comes well equipped with air-conditioning, cloth seat trim, a rearview camera, an AM / FM / MP3 audio system with six speakers, Bluetooth connectivity, Apple CarPlay, Android Auto, a 60/40 split-folding rear seat and a cargo cover. The stylish, fun-to-drive crossover has a choice of gasoline powertrains and it is also available with a fully electric drivetrain — however, that version has a starting MSRP of $36,450. The 10th generation of this popular car debuted early in 2017 featuring fresh styling, improved aerodynamics, new vehicle architecture, a more spacious interior and two new engines. The Civic LX sedan is the least expensive in the lineup but offers an impressive level of standard features. Included on every LX is a 160-watt audio system, a 5-inch LCD display screen, a rearview camera, Bluetooth connectivity and audio streaming, automatic high-beam headlights and LED daytime running lights. 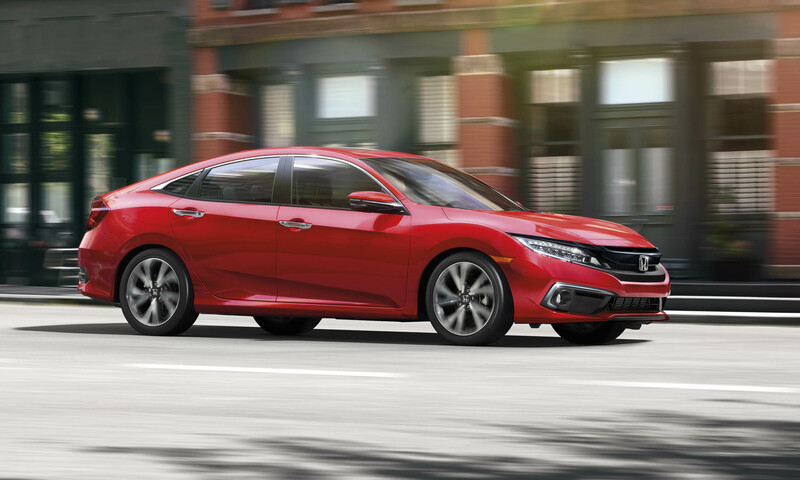 Standard equipment on the Civic also includes Honda Sensing, which has automatic emergency braking, adaptive cruise control and lane-keeping assist. 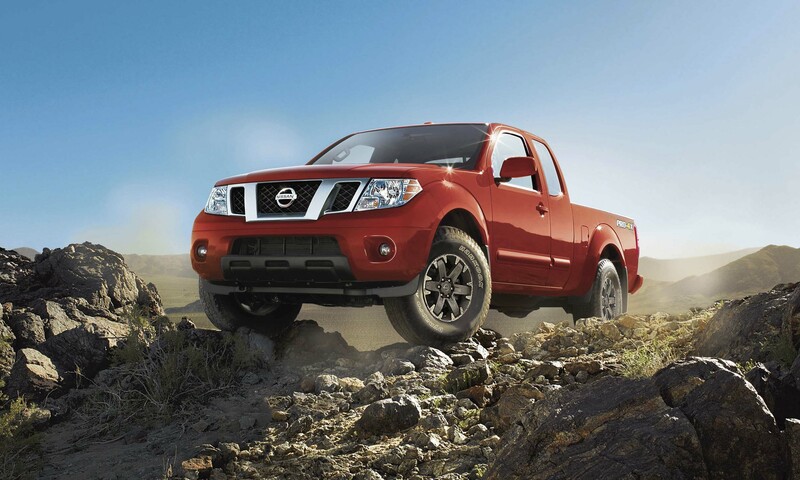 As one of the oldest models in the Nissan portfolio, the Frontier pickup is clearly still holding its own. Featuring more than 20 different configurations, Frontier can be had as a King Cab or Crew Cab, with rear- or 4-wheel drive, as well as with long or short truck beds. Two engines are available: a 2.5-liter 152-horsepower 4-cylinder unit or a 4.0-liter V6 producing a more respectable 261 horsepower. For those willing to spend a bit more, Frontier can be equipped with a variety of features including a heavy-duty suspension, available off-road-tuned Bilstein high-pressure performance gas shock absorbers, skidplates (PRO-4X grade), and an innovative Utili-track Channel System for easy cargo securing. 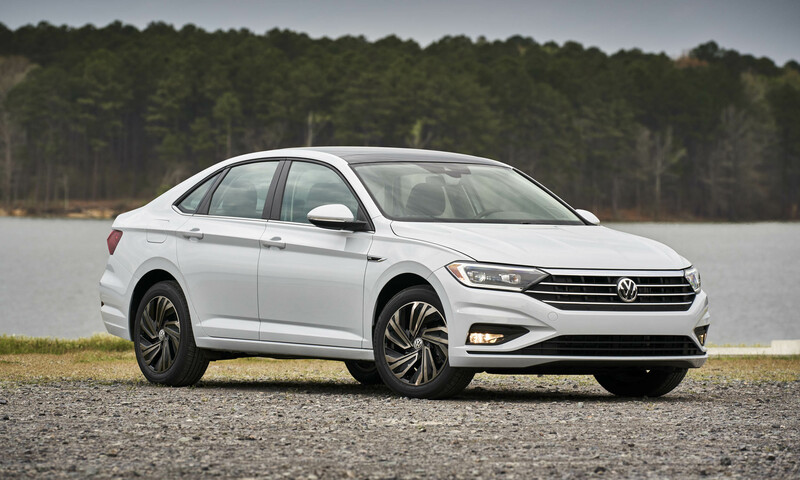 Volkswagen recently introduced an all-new Jetta for the 2019 model year. Built on a completely new platform, the Jetta features a sleek coupelike design that gives it a sporty look. Redesigned headlights with signature LED running lights are nicely integrated into the wide grille, creating a seamless line across the front. The car is longer, wider and taller than the previous version, which not only gives the Jetta a new look, it translates into a more spacious cabin. The Jetta’s interior has been completely redone with a nicely integrated touchscreen display as well as available heated and cooled leather seats. Depending on trim level, the Jetta’s interior can be customized with a variety of features including a choice of ambient lighting color as well as Volkswagen’s Digital Cockpit display. Corolla is one of the most time-honored names in the Toyota lineup, and recently the company celebrated the 1 millionth Corolla built in the brand’s Mississippi assembly plant. Toyota has equipped all Corollas with Toyota Safety Sense-P, which includes a pre-collision system with pedestrian detection, lane departure alert with steering assist, dynamic radar cruise control and automatic high beams. 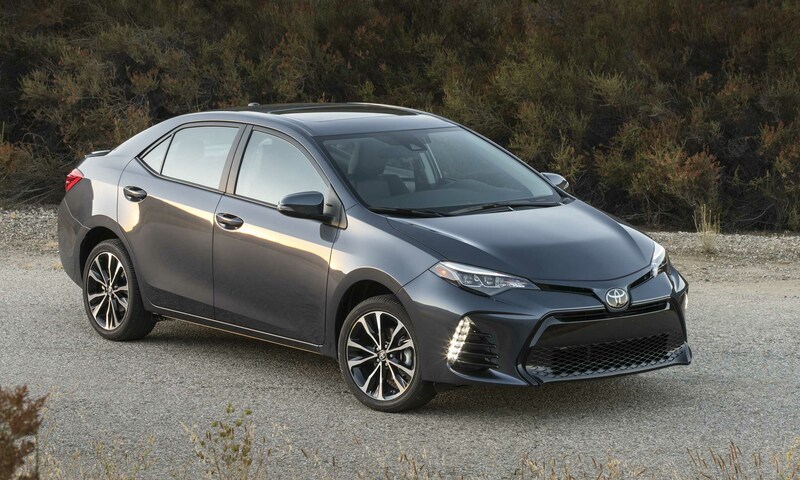 Later this year the all-new 2020 Corolla is expected to arrive in showrooms with updated styling and a more spacious interior. Base pricing will be slightly higher but should still remain below $20,000. Subaru’s compact entry was all new for the 2017 model year. 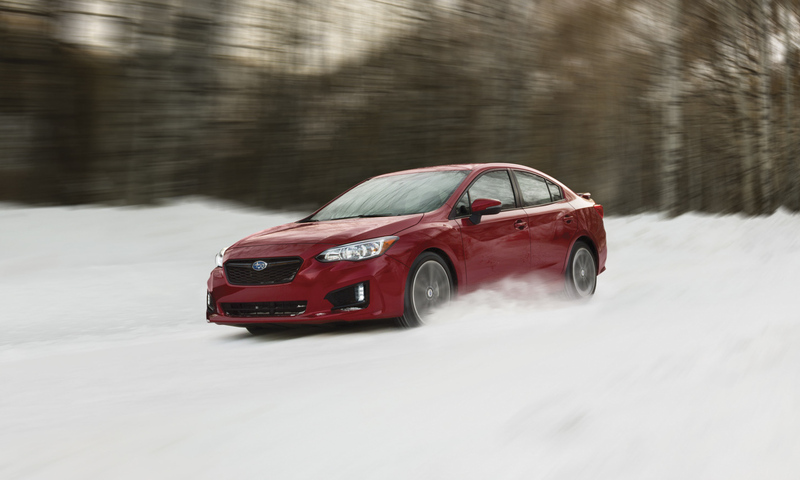 Available as a sedan or hatchback, the Impreza was the first model built on Subaru’s all-new global platform “designed to deliver significantly higher levels of driving pleasure, agility, crash protection and ride comfort.” All Imprezas are equipped with a 2.0-liter boxer engine producing 152 horsepower directed to Subaru’s full-time all-wheel-drive system. The stylish small car also is quite fuel efficient, achieving up to 38 mpg on the highway. Standard features include a 6.5-inch touchscreen display, Android Auto / Apple CarPlay, a split-folding rear seat and a rearview camera. 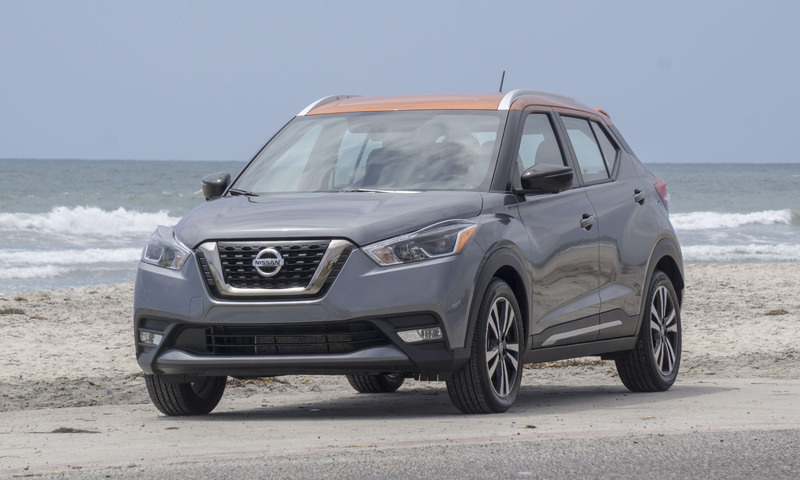 An all-new model in the Nissan lineup for 2019, Kicks takes its place as an entry-level crossover positioned below the Rogue Sport. One of a growing number of crossovers that do not offer all-wheel drive, the front-drive Kicks is available in three trims. The base-level S comes well equipped for the price, featuring air-conditioning, Bluetooth connectivity, a 7-inch color touchscreen display, an AM / FM / CD audio system with 8 speakers, a rearview camera, three USB outlets and 60/40 split-folding rear seats. Automatic Emergency Braking is also standard on all Kicks. An all-new Veloster premiered for the 2019 model year. The sporty little car gets a refreshed design as well as other improvements, and Veloster retains its unique 3-door configuration: one door on the driver’s side, two on the passenger side. The new Veloster stands out with its larger grille flanked by swept-back headlights, as well as bodywork that assists airflow around the wheels for better aerodynamics. 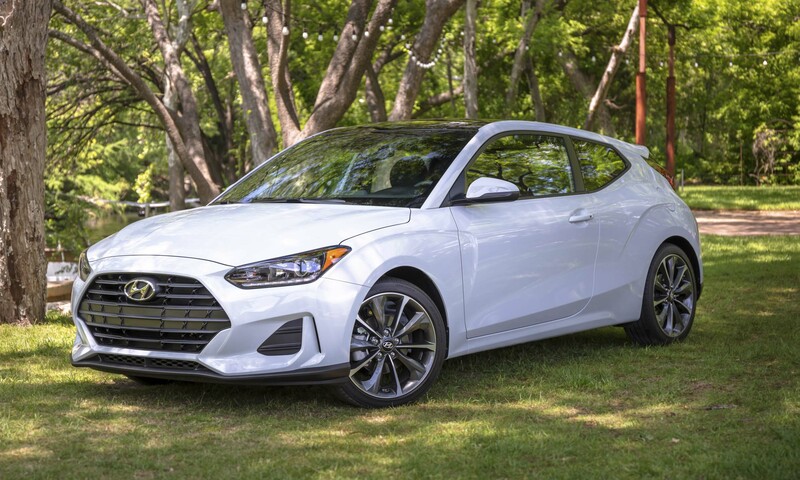 The base Veloster 2.0 is powered by a 147-horserpower engine and comes with a 7-inch touchscreen display, Bluetooth connectivity, Apple CarPlay/Android Auto, a rear spoiler, a 6-speed manual transmission and 17-inch alloy wheels. Forward collision Avoidance and lane-keeping assist are also standard. 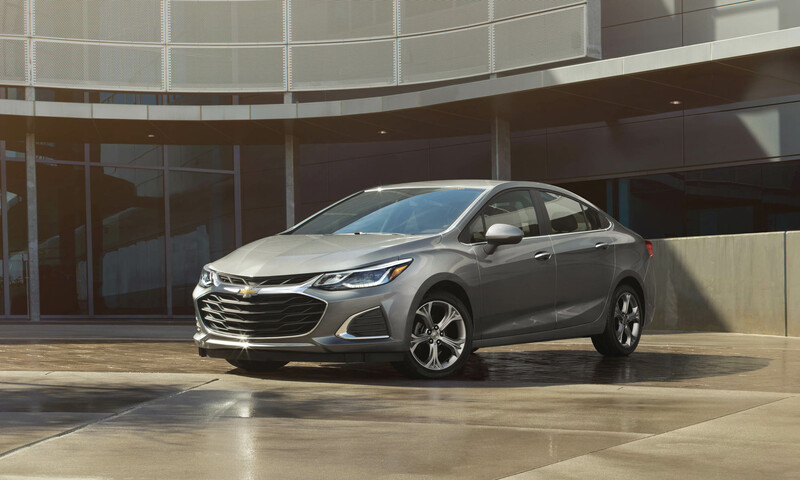 The Cruze continues as one of the most successful small cars the Detroit-based automaker has ever produced, and it is currently one of the best-selling passenger cars in America. For 2019 Cruze gets updated styling as well as a number of new features. Offered as a sedan or hatchback with a variety of trim levels, the least expensive option is the L Sedan. Among the new features is a standard infotainment system with a 7-inch touchscreen display with Bluetooth streaming for two active devices, as well as Apple CarPlay and Android Auto compatibility. 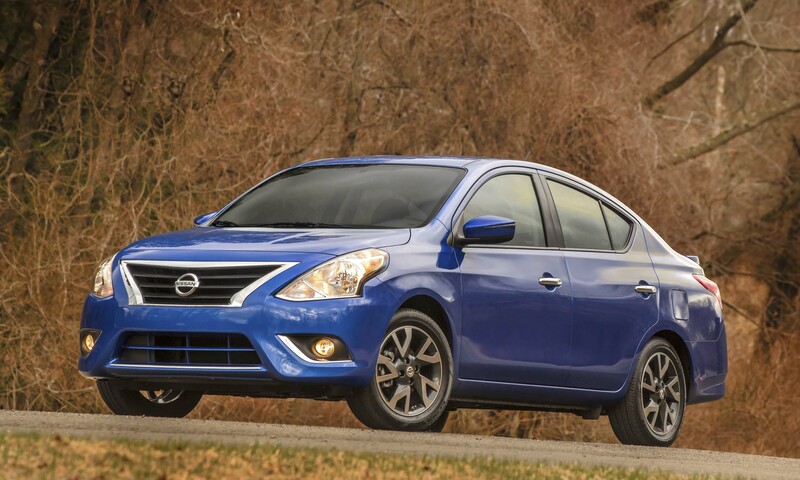 A member of the Nissan lineup for more than 35 years and now in its seventh generation, Sentra was revised for the 2016 model year with updated styling, retuned suspension and a refreshed interior. 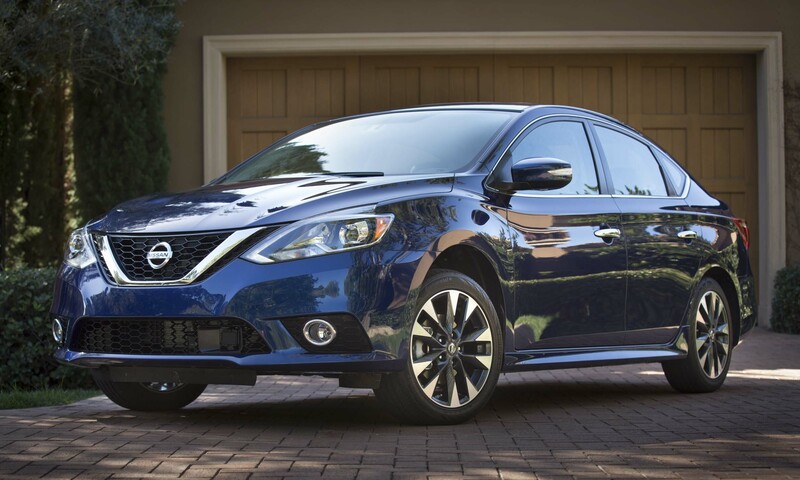 For the base-level Sentra S, standard equipment includes a 5-inch color touchscreen display, Bluetooth connectivity, a rearview monitor and an AM / FM / CD audio system with four speakers. Nissan has also made automatic emergency braking standard equipment on all Sentras with automatic transmissions. 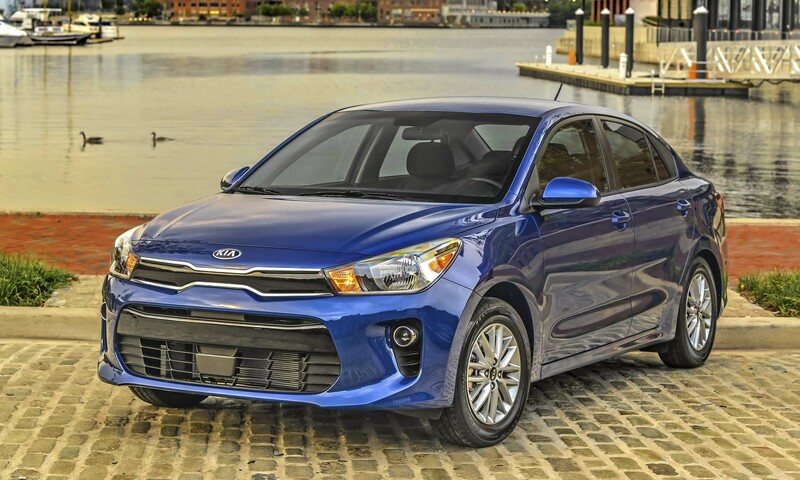 Completely redesigned for the 2019 model year, this entry-level Kia receives updated features and a fresh new look. Forte takes on many styling cues that originated with the sporty Stinger, including the signature Kia grille, long hood and fastback-like shape. Unique headlights and a sculpted hood add to the strong presence, as do a rear lip spoiler and available LED taillights. Inside, the Forte has a standard 8-inch touchscreen display as well as Apple CarPlay and Android Auto. Forte also is available with the latest high-tech safety features, including automatic emergency braking. 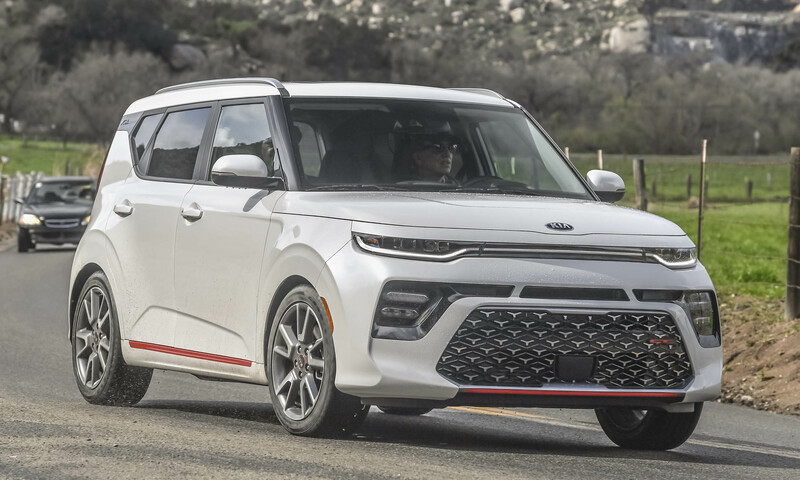 The Kia Soul is entering its third generation with the introduction of a completely new 2020 model, featuring all-new styling and an array of new features. Even as the Soul retains its iconic shape, it gets a modern look with slim headlights, LED daytime running lights and boomerang-shaped taillights that frame the rear window. Available in multiple trim levels, the Soul LX is the entry-level version with standard equipment that includes cloth seat trim, a trip computer, a 7-inch color touchscreen display, Android Auto / Apple CarPlay, Bluetooth connectivity, one USB outlet, a split-folding rear seat and 16-inch steel wheels. 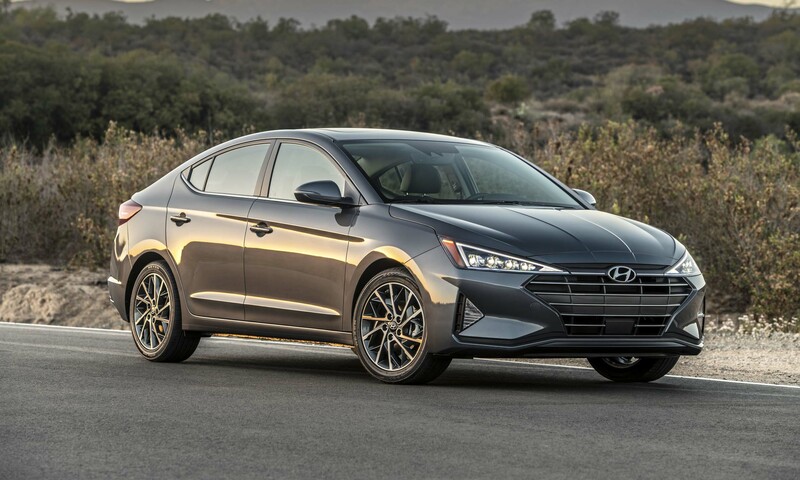 Hyundai has given the Elantra a complete styling update for the 2019 model year that includes a new hood, front fascia, grille and headlights. Taillights are also new, as are the wheel designs. 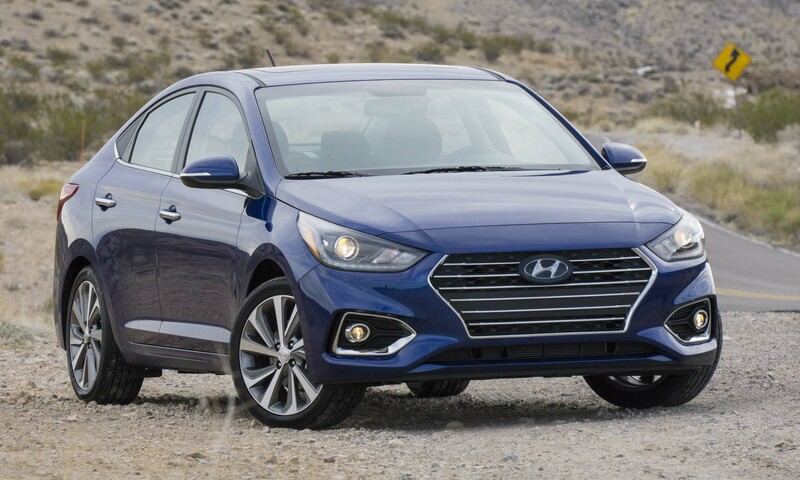 Available with three different engine options and two body styles, the least expensive version is the Elantra SE. Powered by a 147-horsepower 4-cylinder engine, SE standard equipment includes a 6-speed manual gearbox, a rearview camera, projector headlights, premium cloth trim, Bluetooth hands-free connectivity, a 5-inch display screen and an AM / FM / CD / MP3 audio system with six speakers. The modern version of the Fiat 500 launched in 2007, and 2017 marked the 60th anniversary of the original 500. Fiat’s subcompact wonder, which combines Italian styling with efficiency and technology, is offered in both coupe and convertible versions, as well as the all-electric 500e, 5-passenger 500L and all-wheel-drive 500X crossover. The Fiat 500 is powered by a 135-horsepower turbocharged 1.4-liter MultiAir engine with a 5-speed manual transmission or a 6-speed automatic. For those willing to spend a bit more, Fiat also offers the high-performance fun-to-drive Abarth variant, which bumps the 500’s grunt to 160 horsepower. 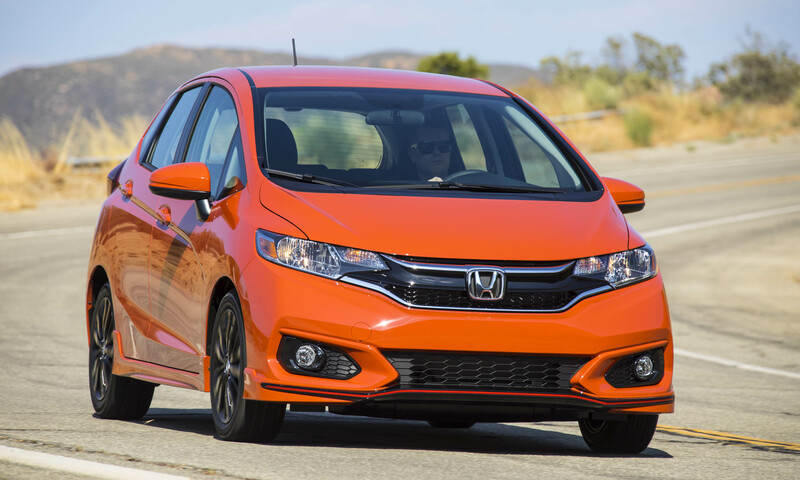 Honda introduced an updated Fit for the 2018 model year with revised styling, a more dynamic driving experience, as well as new technology and entertainment features. The Fit has always excelled at space management — a prime example of a car that is small on the outside yet big on the inside. Powering the Fit is a 1.5-liter engine producing 130 horsepower and achieving up to 36 mpg on the highway for the LX with a standard 6-speed manual gearbox. The base-level Fit LX comes equipped with a rearview camera, LED brake lights, air-conditioning with air filtration, a 160-watt AM / FM / CD audio system, Bluetooth hands-free connectivity with audio streaming and active safety features. Nissan added the Note to the Versa lineup for the 2014 model year, providing an economical 5-door hatchback for customers who need a bit more space than that of a sedan. With more rear-seat legroom and cargo space than many of its compact competitors, the Versa Note offers an adjustable floor in the cargo area, providing a space below the floor to hide valuables. A 60/40 split-folding rear seat adds to the stowage versatility. Carrying the same 109-horse powerplant as the standard Versa, the Note is rated at 39 mpg on the highway with Nissan’s standard Xtronic Continuously Variable Transmission. 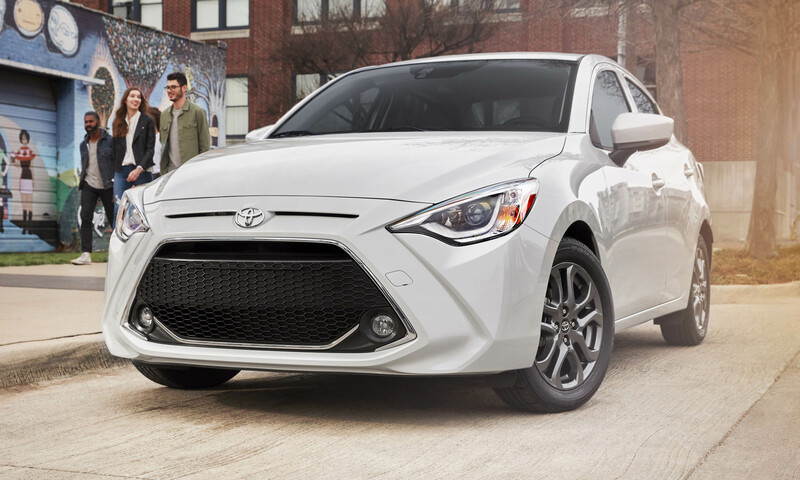 Yaris is the least expensive Toyota on the U.S. market and received a refreshed look for the 2018 model year. Available as either a 3-door or 5-door hatchback, the Yaris is powered by a 1.5-liter engine producing 106 horsepower. Standard on all Yaris variants is Toyota Safety Sense C, which includes a pre-collision system, lane departure alert, and automatic high-beam headlights. Also standard on the base-level Yaris L is a rearview camera, the Entune audio system that includes a 6.1-inch touchscreen, an AM / FM / CD player with MP3, six speakers, an HD Radio, a USB port with iPod connectivity and control, hands-free phone capability, voice recognition, and Bluetooth music streaming. It doesn’t seem that long ago when few quality domestic-brand small cars existed for the U.S. market — thankfully that’s no longer the case, and the Sonic shines as a great example. 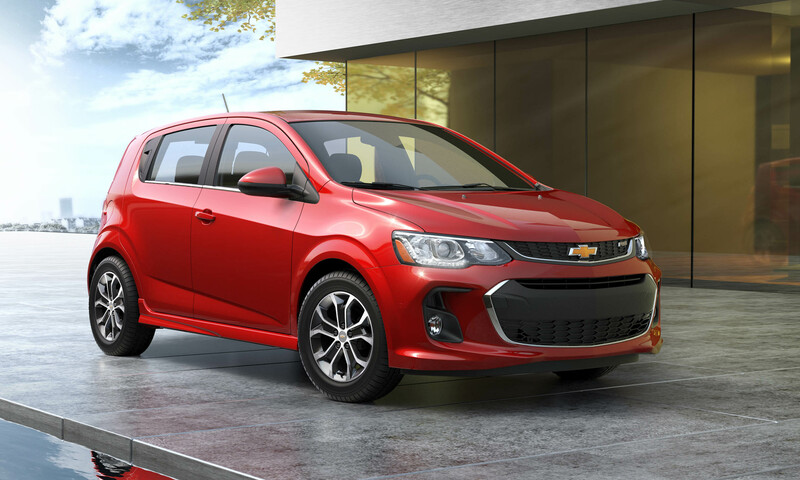 The Sonic was redesigned for the 2017 model year, and for 2019 Chevrolet is equipping all Sonics with a turbocharged 1.4-liter engine that creates 138 horsepower and 148 lb-ft of torque. Standard equipment on the base-level Sonic LS includes air-conditioning, a 7-inch touchscreen display, Bluetooth streaming for two devices, Android Auto / Apple CarPlay and available Wi-Fi hotspot. 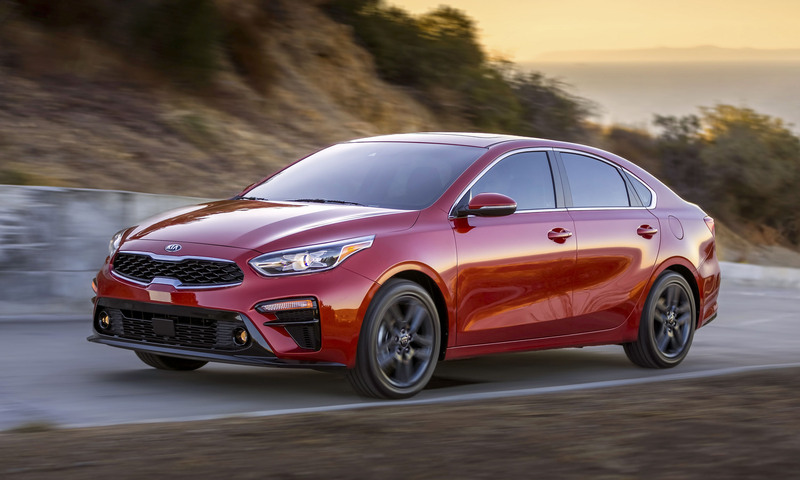 The least expensive car in the Kia lineup, Rio received a complete redesign last year with the latest version of Kia’s “tiger nose” grille that brought the entry-level car in synch with the rest of the Korean automaker’s lineup. The Rio gets power from a 1.6-liter engine producing 130 horsepower while delivering up to 37 mpg on the highway. The LX is the entry-level trim of the Rio with standard features that include a 6-way adjustable driver’s seat, a split-folding rear seat, air-conditioning, and a 5-inch display with an AM / FM / MP3 / Satellite audio system. 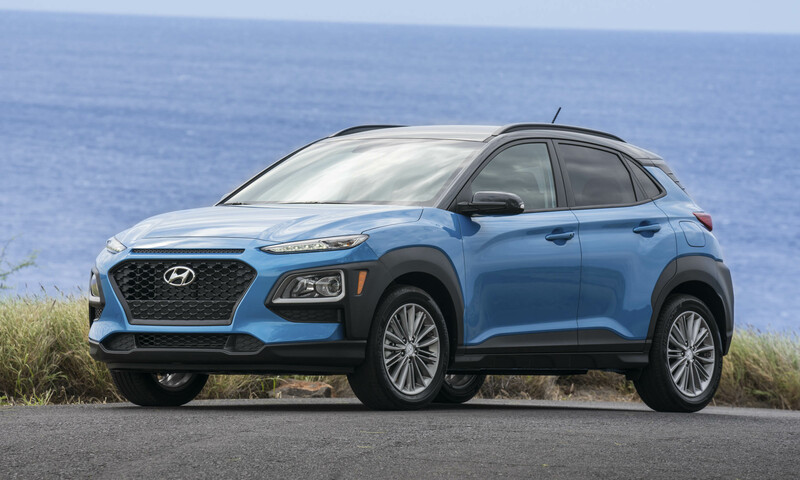 Hyundai built a reputation creating vehicles that offer attractive styling, great value and continually-improving quality — all attributes of the redesigned Accent that was introduced last year. The Accent rides on a new chassis designed for increased rigidity, resulting in better driving dynamics as well as a surprisingly quieter ride. The base-level Accent SE comes well equipped with air-conditioning, Bluetooth connectivity, a 5-inch display screen, a rearview camera, an AM / FM / CD / MP3 audio system with four speakers, and 15-inch steel wheels. All trims of the Accent are powered by a 1.6-liter 4-cylinder engine producing 130 horsepower and 119 lb-ft of torque. The Fiesta’s popularity continues thanks to the subtle trend of small, economical cars that are surprisingly fun to drive. 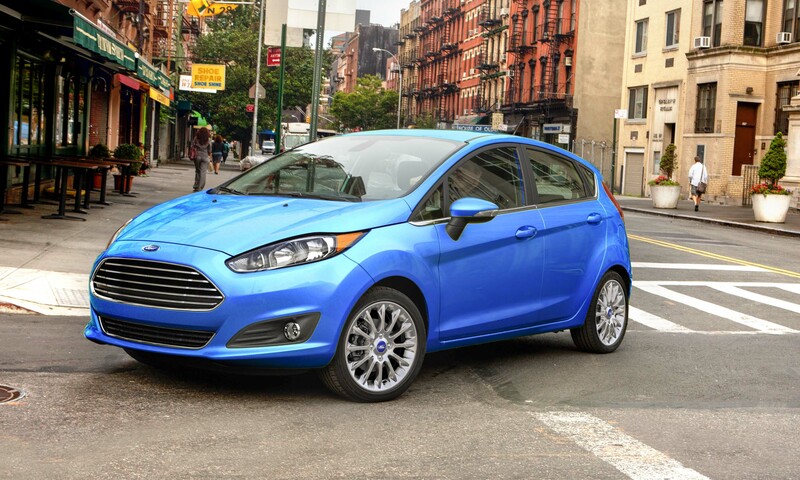 Available as a sedan or hatchback, Fiesta standard equipment includes a 120-horsepower 1.6-liter engine rated at 37 mpg on the highway (with the automatic transmission). The entry-level Fiesta S also has a standard AM / FM / MP3 audio system, remote keyless entry, hill-start assist (manual transmission), a rearview camera and 15-inch steel wheels. 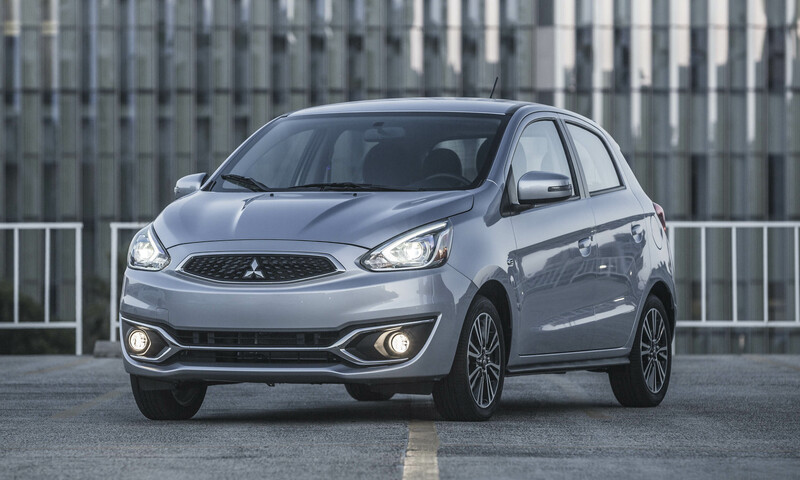 Mitsubishi’s entry subcompact Mirage was redesigned for the 2017 model year with fresh styling inside and out. Mirage’s efficiency and performance improved over the previous generation with a more aerodynamic exterior as well as a power increase to 78 horses from its 1.2-liter 3-cylinder engine. Even with the power increase, Mirage is the lowest-powered car in America; however, it does deliver great fuel savings via an EPA-rated 37 mpg city / 43 mpg highway. Standard features on the base-level Mirage ES include Bluetooth connectivity and streaming, a 7-inch touchscreen display, a rearview camera, an AM / FM audio system with four speakers, intermittent wipers and 14-inch steel wheels. 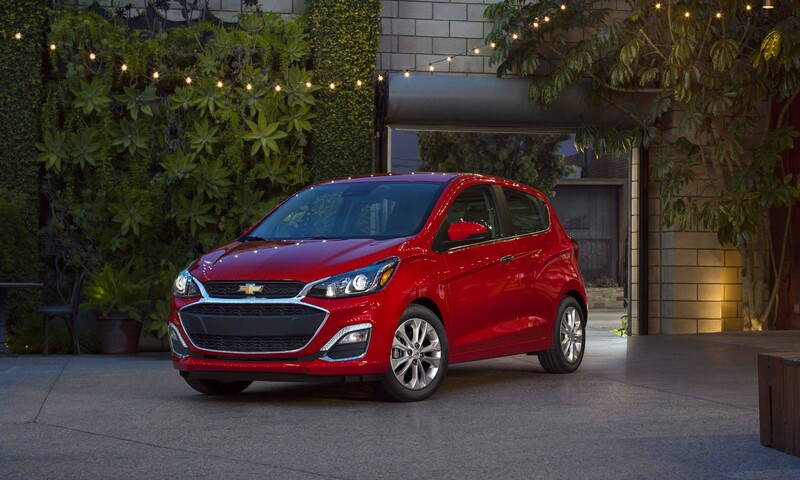 The least expensive new domestic car available in America, Spark gets updated front styling for the 2019 model year as well as a new infotainment system. Stylish and fun to drive, Spark can be had in several bright colors with funky names such as Passion Fruit, Toasted Marshmallow and Red Hot. Power comes from a 1.4-liter engine producing 98 horsepower while delivering up to 38 mpg on the highway. Standard equipment on the base-level Spark LS includes a 7-inch touchscreen display, Bluetooth connectivity, Android Auto/Apple CarPlay, two USB ports, a rearview camera and 4G LTE Wi-Fi hotspot. Versa may be the most inexpensive new car in America, but even at its low price this longtime player is much more than a bare-bones econobox. Standard equipment includes air-conditioning, a 7-inch color touchscreen, an AM / FM / CD audio system with four speakers, a rearview camera, Bluetooth hands-free connectivity and a trip computer. 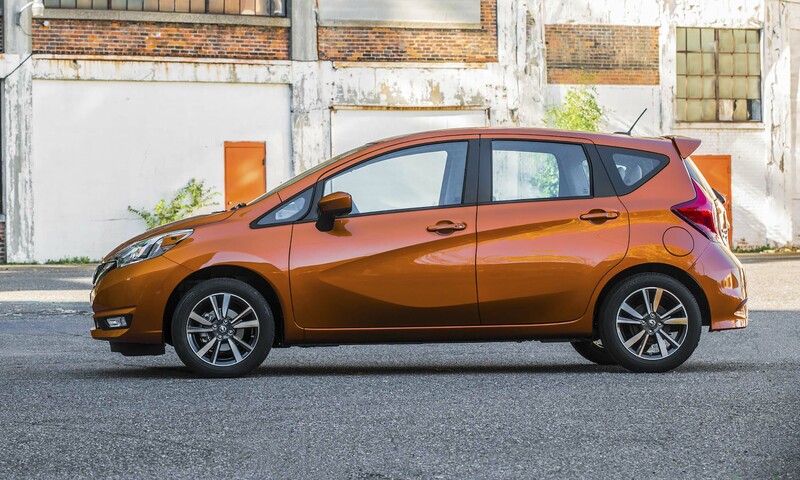 Powered by a fuel-efficient 109-horsepower 1.6-liter 4-cylinder engine, the Versa is EPA rated at 36 mpg highway with the standard 5-speed manual gearbox. Versa also comes with multiple airbags, stability control, traction control and anti-lock brakes with electronic brake force distribution. 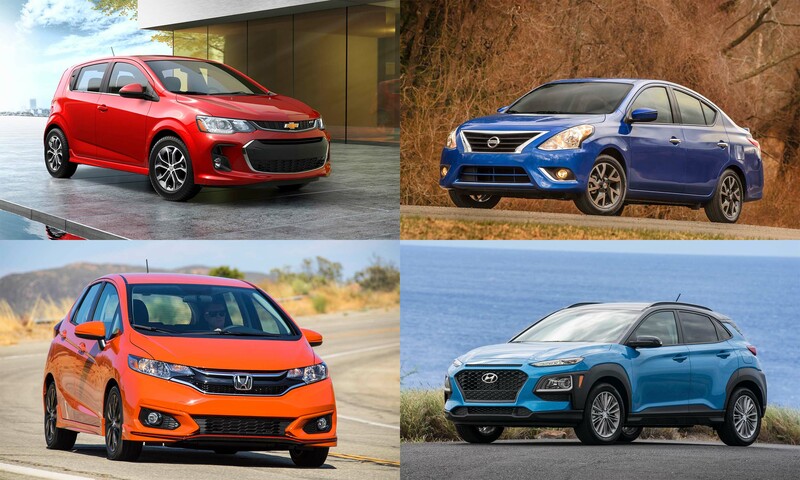 The post New Cars Under $20,000 appeared first on autoNXT.net.